‘Did you date me because I looked like a guy?’ Asks the girl. ‘No, I actually broke up with you because you didn’t look like a guy.’ Answers the boy. The boy, who is the main protagonist of the film. And he is gay. A seemingly normal adolescent who studies in a school who discovered that he is gay. The fun story that evolves in the normal society, where kids have a lot of friends, who hang out at parties, who is too right sometimes. And who dream big. But most of all, they too scared of being not like the other people around. At least several of them (including the protagonist) are too afraid to tell to the other people he is not like the others. So when he meets someone like him on the Internet in his very same school, he becomes really excited about it. They chat a lot. Until he discovers that this other guy framed him in front of all school, stealing ‘his thing’, a coming-out. Fun, heart-touching, and a little clumsy, full of exciting moments that everyone will recognize him or herself in. Full of heart-open talks & unusual discoveries, pretty girls & magically handsome guys. The soundtrack to this is unexplainably different: full of songs from the old days, which completely do not suit to its mood: glam rock of ‘Love Me’ goes contrary to Xmas song of The Jackson ‘Someday at Christmas’ & they both contradict to ‘The Oogum Boogum Song’, which is absolutely not clear how got into the collection. 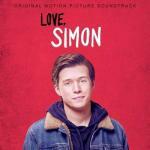 However, the film’s events are in-line with lyrics of several other songs: ‘Alfie's Song (Not So Typical Love Song)’ and Whitney Houston’s ‘I Wanna Dance with Somebody’.